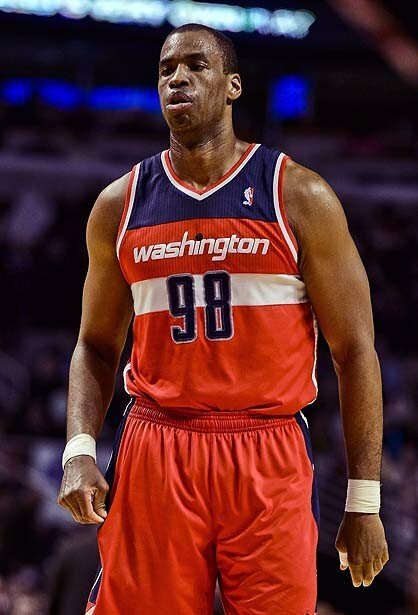 The leading news in American sport the past two days has been the story of NBA center Jason Collins coming out as the first active gay athlete in one of the "big four" professional sports leagues–the NBA, NFL, MLB and NHL. The story, co-authored by Collins, is compelling to say the least, one that can and will put you in your seat and make you think about the world at large should you so choose. Those who say it shouldn't be a big story are right; it shouldn't be, but it is. Those who are saying it was done only to sell magazines couldn't be further from the truth; this was exceptional sports journalism in its purest form and told a story that needed to be told. Both camps consist of overwhelming numbers of people hiding their discomfort of homosexuals behind a thin veil, standing on the same side of the stage with those holding outright hatred for gays around the world. I listened to these people on the radio for hours on end Monday and it made me sick. Of course knowledgeable football fans will know Robbie Rogers came out weeks ago, announcing his retirement from the sport the same day. There are rumblings of a return for the American striker making the rounds. Ex-Montreal Impact midfielder David Testo came out during a radio interview late 2011, shortly after his release from the club. He's not played football again since though is active in You Can Play, an American group set out to eradicate homophobia from sport. To say Collins has instantly become a historic figure in sport is putting it lightly. Perhaps he won't be held on the same level as a Jackie Robinson 66 years on (it should not go without notice that we celebrated the anniversary of Robinson breaking the color-barrier in baseball just a short while back) but he won't be far behind. People say his risk is mitigated as he's not on a roster currently, or that it means less as he's a role player at best. They blend in comfortably with those trying to tear down Collins simply because of their own insecurities. It took over 12 years for the last Major League Baseball team, the Boston Red Sox, to integrate when Pumpsie Green joined them in 1959. Even at that time, it was effectively illegal for blacks to vote in most southern states while many more still held legislation prohibiting blacks from marrying whites. Sounds like a familiar story, doesn't it? Rangers through its history, so we've been told, had a long standing policy of signing no Catholics and no Irish-born players. While that does sell papers (even as recently as last month) it's simply not true. The Mo Johnston story has been trotted out in papers across Scotland thousands of times by journos needing to meet a deadline, repackaged and reframed and ignorant of the truth in every instance. Never mind Rangers going so far as to get a Celtic supporting lad from New Jersey to come over for a year in the 70s, which the American mag "XI" covered just a while back. 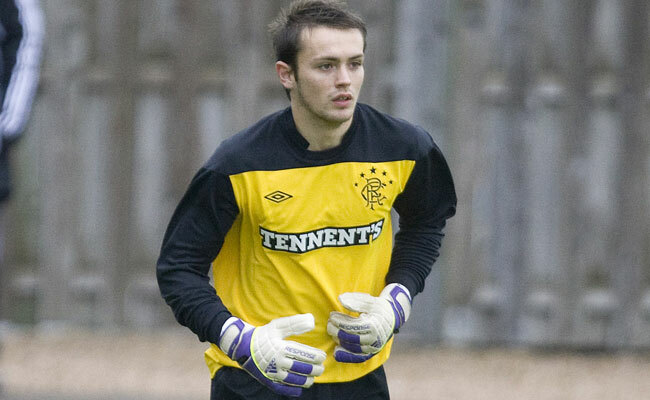 While papers were selling ads on the back of stories about Jon Daly's potential arrival and the new precedent it would set, an Irish-born goalie set up between the sticks for us. It's a sad fact that perpetuating the rather nasty elements of the rivalry between Rangers and our neighbors sells papers and moves advertising dollars. That's something you can be assured is the truth, no matter how they spin it. But there will be another time and another chance for firsts coming now that Collins has set the wheels in motion. There will be more athletes young and old to step out of the shadows and stop living in fear of reaction to who they are, playing their sport in a world more and more accepting of them just as the world has become more and more accepting of other minority groups. And that time will come for Rangers. Odds are there are gay members of the playing staff right now, and chances are their teammates may know it. Unspoken truths exist in locker rooms around the globe and Collins is certainly not the first pro-athlete to live with his secret for years with the full knowledge of his teammates and fellow competitors. When the time comes at Rangers, who knows–it may no longer be a "big deal." But whoever is the first of our own to step out of the shadows should not be ridiculed or made to feel uncomfortable in his own skin. No one deserves to live like that, and anyone brave enough to come out and serve as a role model for young gay men and women everywhere should be embraced. We cannot allow the media to create and perpetuate another hateful narrative built on half truths or complete falsehoods. Don't give them the satisfaction. Embrace that player like you did before, because nothing he has done on the pitch will change. None of the goals he's scored or tackles he's made will go away. All that should disappear is a chunk in the cloak of the myth that says Rangers is not an inclusive club. That chance is coming, sooner or later. Embrace it, friends.